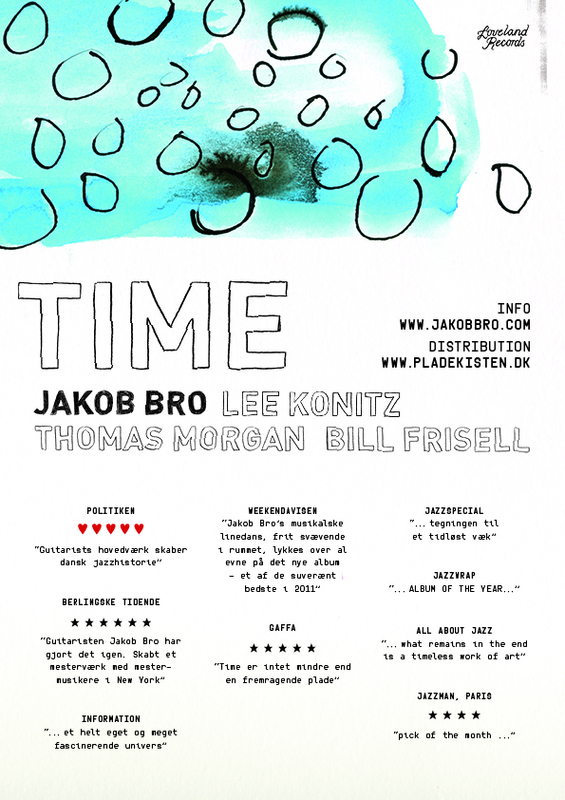 The latest release from Jakob Bro "Time" feat. Lee Konitz, Bill Frisell and Thomas Morgan is celebrating global attention . 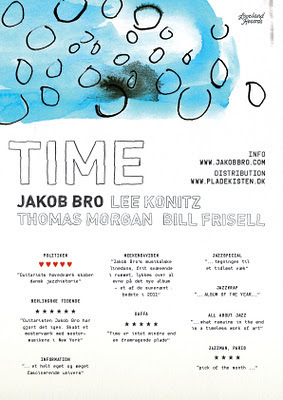 Downbeat interviewed Bro about the album and future plans with "Time" and 2nd album in 2012. And since its release in late november, "Time" has been voted "Best Album of the year" at the jazzblog Jazz Wrap; All About Jazz calls the album ".... what remains in the end is a timeless work of art." and in french JAzzman its "pick of the Month" with 4 out of 4. Jakob Bro is on the front-page of Dutch magazine Written in Music, and more is to come. Agency for jazz and electronic music and culture. I Work freelance for artists, organisations, festivals and media. With focus on the creative capital and potential, I develop strategies, services and implementations to sustain, optimize and activate business and creative processes. Jesper Zeuthen Trio + Quintet exploding live. Theme images by timhughes. Powered by Blogger.